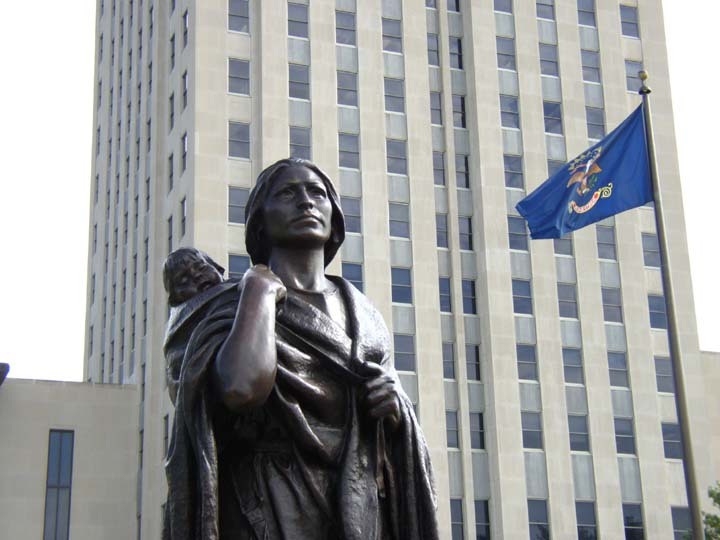 Tuesday morning we drove to the North Dakota Capitol Building on our way to I-94. 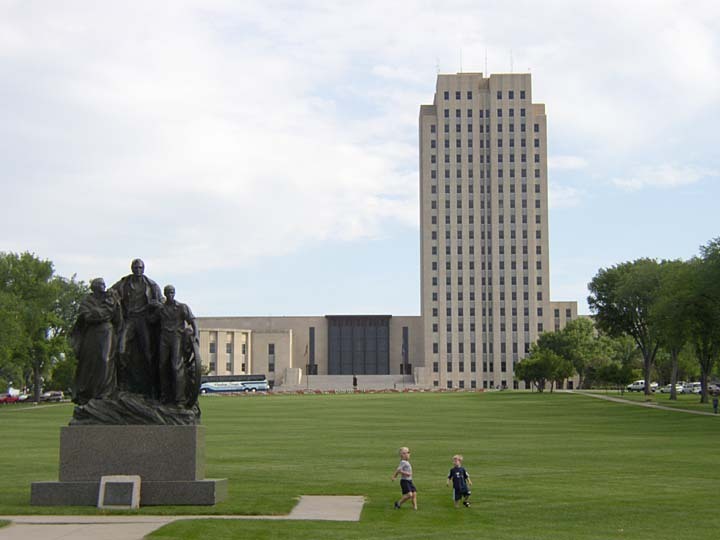 The North Dakota Capitol Building has no dome. 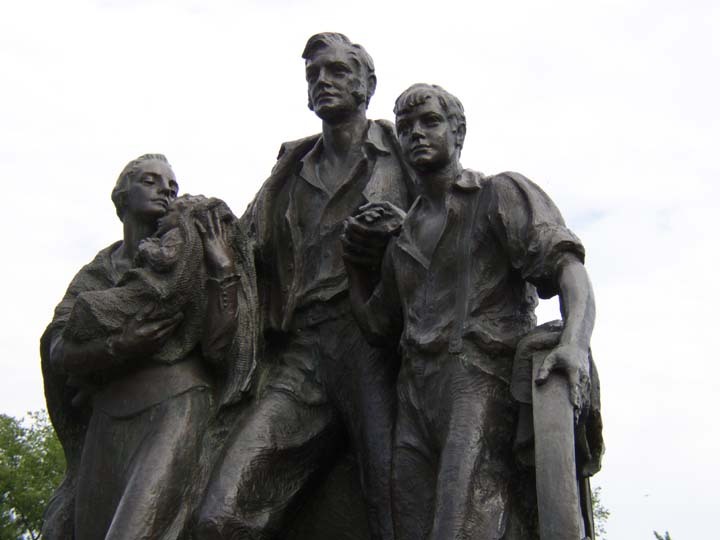 A close-up of the Pioneer Family. 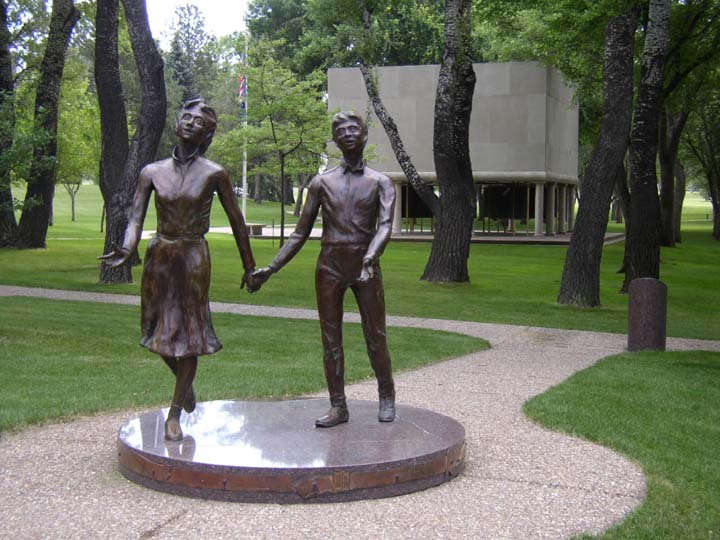 "Presented to the State of North Dakota by Harry Falconer McLean to honor the memory of the pioneers of the great northwest." 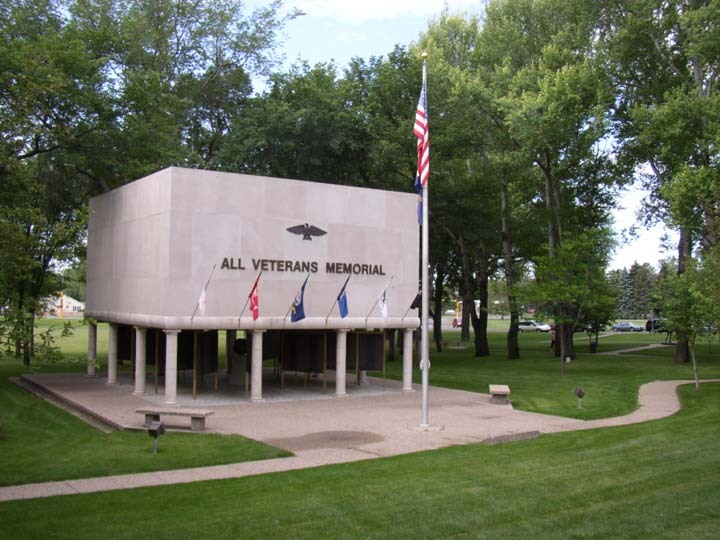 "A member of the Lewis and Clark Expedition"
The All Veterans Memorial displays flags from six US Services. 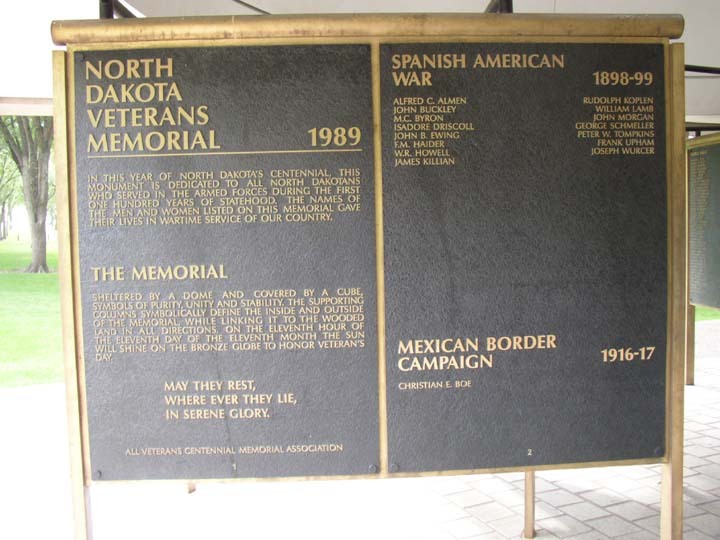 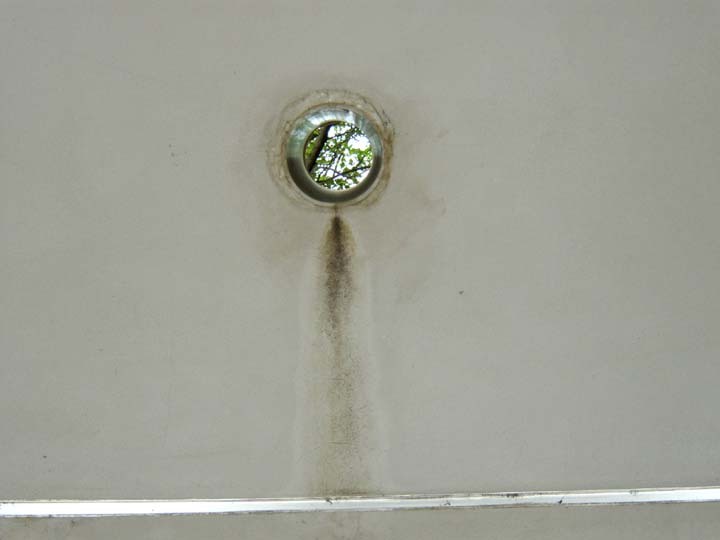 The interior of the memorial has about 15 plaques like this one place in an irregular circle around a globe in the center. 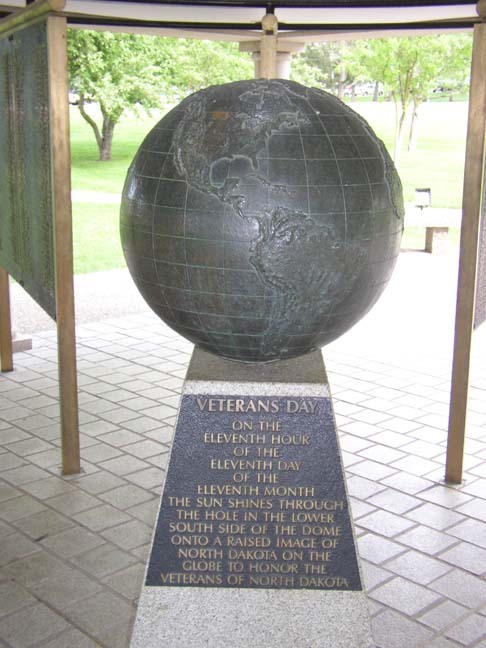 This globe describes the Memorial's function as a one-hour-a-year solar clock.